It is hard to believe that the end of this year, 2014, is upon us! As one frog said to another, "Time is sure fun when your having flies." Well, the year has flown by, and God has been so good to us to give us tremendous opportunities for service in His kingdom, for there is nothing more fulfilling. There are countless things to be thankful for this past year, along with many trials, but here are a few highlights of the year. The fact is, none of this would have happened if not for the prayers, encouragement, love, finances and support that come from Saints all across the world, and without the strengthening, providence and guidance that comes from our great God. Thank you all! Our family, one year ago! What a blessing to have such a great team! We have been blessed to have many opportunities to travel, encourage and to be encouraged by others. Visiting the Kees in Banso in the North West of Cameroon in February was a great time! Our gym ministry has really taken off this year... we now have about 70 men and women that come regularly and that join us for training and also for Bible devotions! Brittney has been working with the Gym ladies every morning. We were also blessed to have Beth Ann, a former professional weightlifter, come and do some coaching and help out with our ministry. A real highlight for me was to be able to immerse Abel into Christ in March. We had been studying together for many months and to be able to help him be buried with Christ in baptism and raised to walk in newness of life was a great joy! We were tremendously encouraged to be able to host the Osebreh family in April. 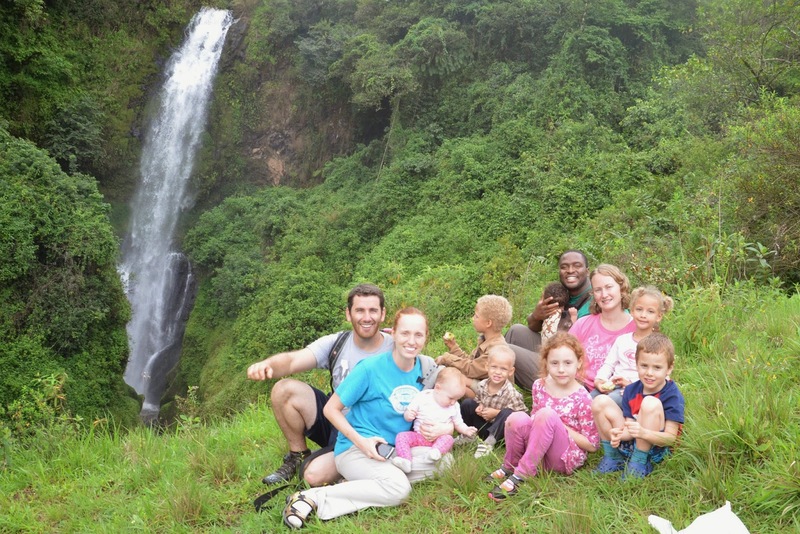 They came for a few weeks and were able to participate in our ministry and to enjoy the beauty of Cameroon with us. They are doing a great work in Ghana. More visitors from Ghana. In July, we had the pleasure of hosting Mom and Dad Hostetter for a visit. They joined in our work here, and were an inspiration to all. We were extremely excited in September to finally be able to launch Faith Builders Educational Ministry. Training up our children in the way of the Lord is a priority to us, and being to help other kids along the way, to include them in this educational and character-building journey is awesome! We are now done with our first 13 weeks! Our first school field trip was to visit the zoo in Limbe. It was a great time! We have been so encouraged by God's provision for Faith Builders Educational Ministry. Here, Hannah is amazing the Chief of Service for the Delegation of Basic Education, who came for an inspection. He said he had never seen anything like our school and wished we could do the same in his own village. Academics matter, but the spiritual growth and character development of our kids is paramount. This is how we start each day, with our opening program and devotions from the word of God. Brittney's folks' visit (see last blog post) was a great time... they were a huge help in many ways. A highlight of a highlight- while Mom and Dad Thomas were visiting, our friend and helper, Kate, was immersed into Christ. She had been studying the Bible with Brittney each week for many months, and had also been watching us, to see if how we lived met up with what we said. What a wonderful new creature in Christ! William! It was super encouraging, one day during gym, when William asked to talk to me. What did he want? He wanted to talk with me about immersion into Christ. He'd had many questions, and had been having some great Bible discussions with George (on the left) our helper and coworker from Ghana. That very night, we took him down to a nearby stream and washed away the old man of sin! This is especially exciting to us, as this year, the members of our team- George, Brittney and I, have all personally led someone to Christ through personal evangelism. PRAISE GOD! Preach the Word! I write this now from Ghana, where we have come for a short visit, to reconnect with family and friends, to have some time of refreshing, and also, to share the word. I had a chance to preach at the family camp, sharing on our connection with Christ and one another from John 15:5. It's really been a great year, and we are very excited for another year of service to God! We appreciate what everyone has done and for God getting us through various challenges and trials. God bless you all and a happy new year 2015!!! 2014 has been a wonderful year for our family. One thing we are especially grateful for is all the visitors that we have been able to have to our home. Sharing our home with others and having an opportunity for others to participate in our work is indeed a blessing. 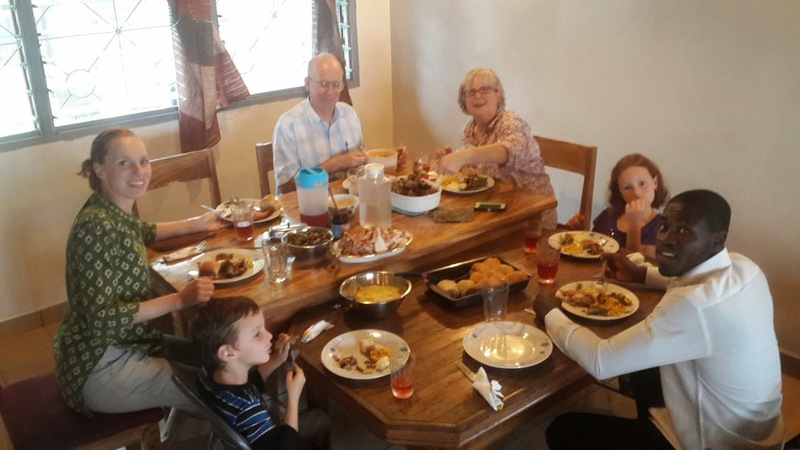 The end of November, we were excited to welcome back to Cameroon, for their 3rd visit, Brittney's folks Rhys and Sharon Thomas. 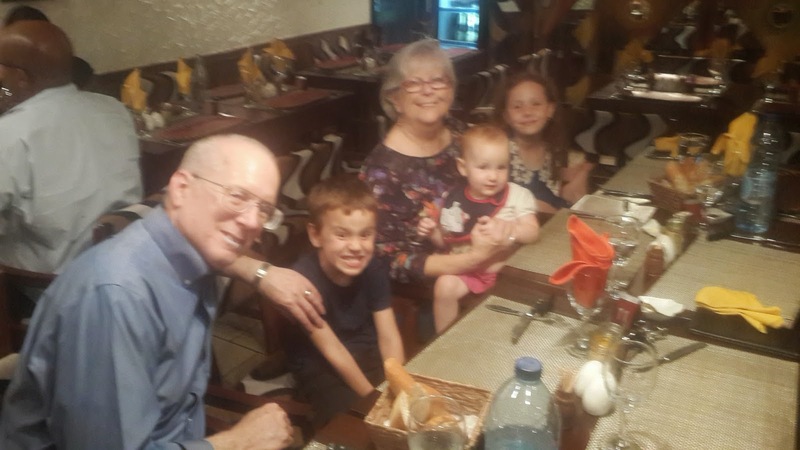 Our kids were super excited to have Grandma and Grandpa come and visit, as they hadn't seen them in over a year. We were happy to share our home with Mom and Dad... every time they have come, we've stayed somewhere different. We always enjoy their visits, and really like picking their brains for ideas and bouncing our ideas off them. The counsel of Godly Christian saints is priceless. Sharing a meal with George and Frederick. Everyone was excited to have them to Cameroon. 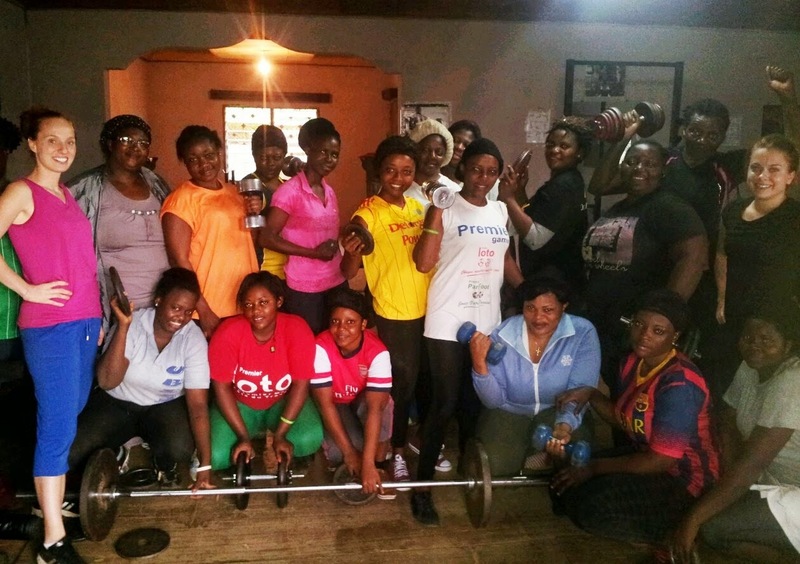 Sharon had an opportunity to use her experience as an RN to teach some health classes for our gym ladies. They really appreciated the useful information. Grandma Sharon also did a great job doing story time every day for the school kids. She is a gifted teacher and communicator and really connected with the kids imaginations. Dad Rhys had many opportunities to teach the Word of God. 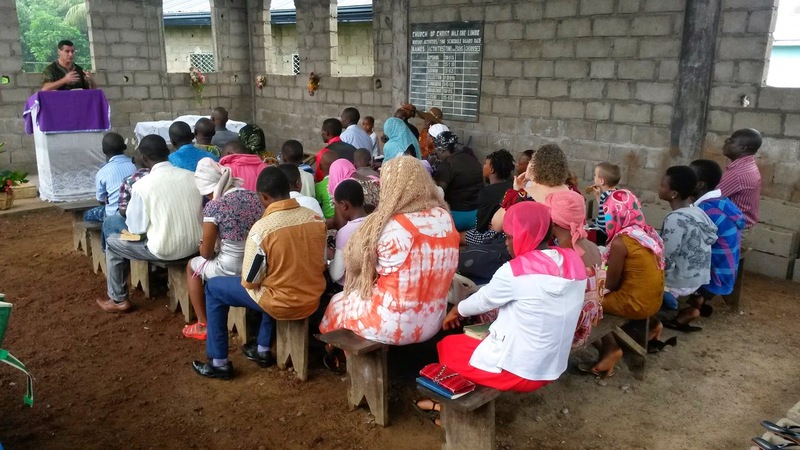 Here he is teaching the Wednesday night Bible Study in Ekona. 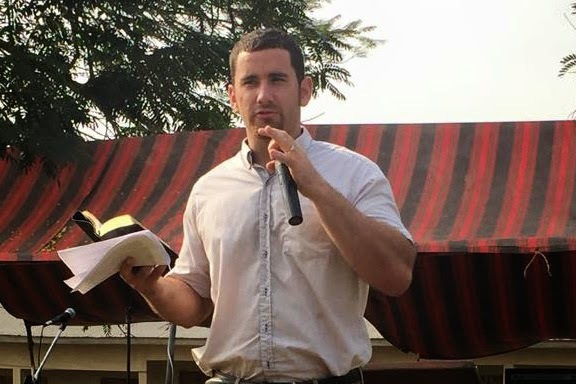 Dad Rhys did a ton of teaching while in Cameroon. 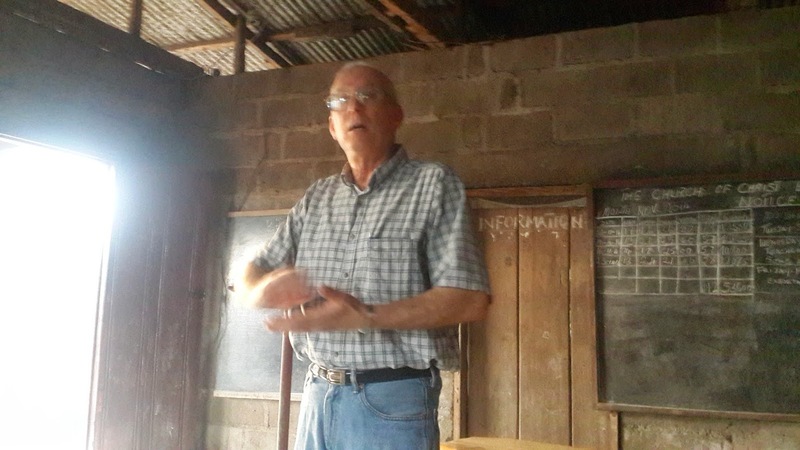 In addition to his class at Ekona, he taught at Mile 16, Muea, and taught around 20 hours at one of the Bible schools in Buea. He was quite busy but enjoys studying and sharing the Word of God, and did a great job despite cultural and educational differences. Our friends the Takem's welcomed a beautiful baby boy while Mom and Dad Thomas were in Cameroon, and we were glad to share with them in their joy. Thanksgiving! We had a lovely meal together on thanksgiving... Brittney and Mom Sharon really outdid themselves with a wonderful feast. We were even able to have a delicious turkey that we got in Douala. An attitude of gratitude and heart of thankfulness is key to the Christian's walk. At this time of year, we are so grateful for you all, and the blessings you bring to our life, the encouragement, the prayers, and the support to keep doing what we are doing! Thank you! Where is your current mission location and how long have you been serving there? What was your motivation for service or for becoming a missionary? - I saw that there was a need and serving on the mission field over seas was something I desired to do. What preparation did you have to perform before your service? - I was blessed to be mentored by older and more mature Christians, had personal Bible studies, and was a teacher's aid in a Christian school while finishing my last year of High School in Ghana, where I also did a teachers' training course. 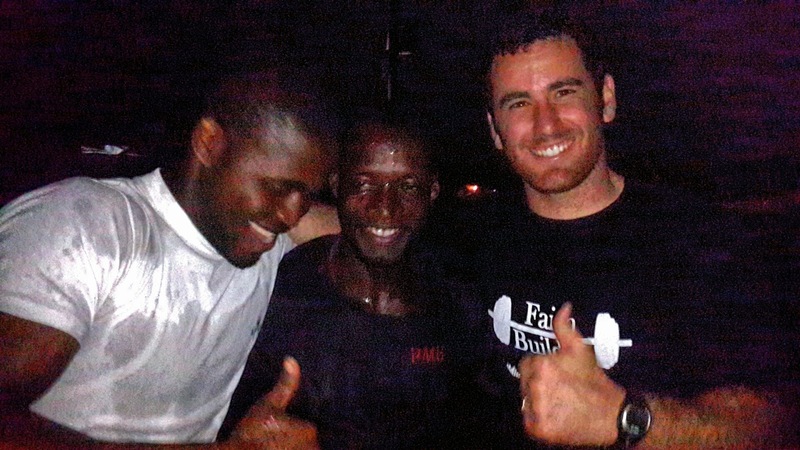 I served with a mission in Ghana for several years, working together and learning many things before we came to Cameroon on our own. How or did you find a sending agent and how did you conduct support raising? - We are not part of a big organization but rather are funded through individuals and different congregations. Often my husband will teach or preach the Word of God, or show a power point about the work in Africa, I have programs such as a "ladies tea" to share about the work with other women from a woman's perspective, and we always enjoy visiting with people one on one or with their families as well. Basically, we try to encourage others the best we can and trust that God will provide our ministry needs. What kind of mission work do or have you done? - We work with men, women and children in various villages, run a gym ministry, and run a small Christian school from our home. We also do benevolence with the elderly, widows, orphans, handicap and others who are in need as well as counseling with single and married people. Whenever God opens a door, by faith we walk through it. What were some of the initial challenges when you began the work? 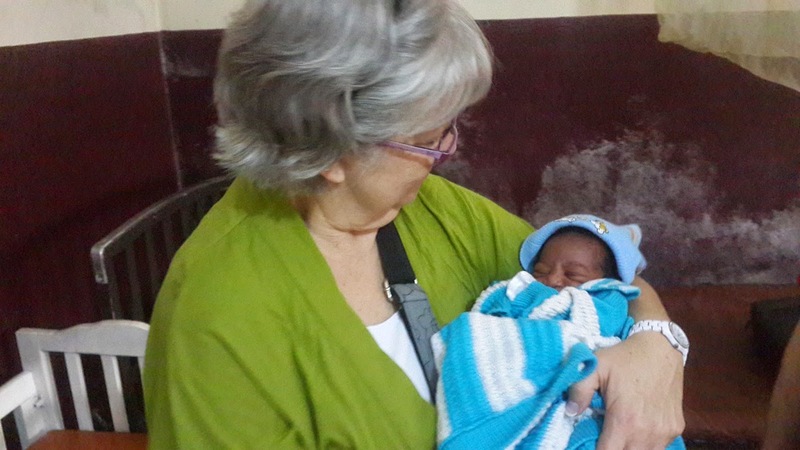 - When we first came to Cameroon we didn't know very many people except for another missionary family who is hundreds of miles away. Making connections and getting to know people was one of our challenges. Lack of water supply was also a problem as we only had running water 2 times a week at best. Since then we have been given funds by generous Saints for a water tank and water pump so our water supply isn't much of a problem anymore. It was a challenge (but fun!) finding out where to buy groceries and toiletries. Finding good medical facilities is still a challenge. How did you go about language and culture learning? - My husband went to school to learn French and he grew up in Ghana where some Pidgin English was spoken so he was able to pick up Cameroon Pidgin English quickly. I am currently using Rosetta Stone to learn French and I learn a bit of Pidgin everyday just by living here and interacting with people, but it is especially difficult as I am very busy with the kids and with our ministry to find time for language learning. English is widely spoken, so that is a blessing. God has blessed our family to be "chameleons" so adapting to the culture wasn't too difficult. 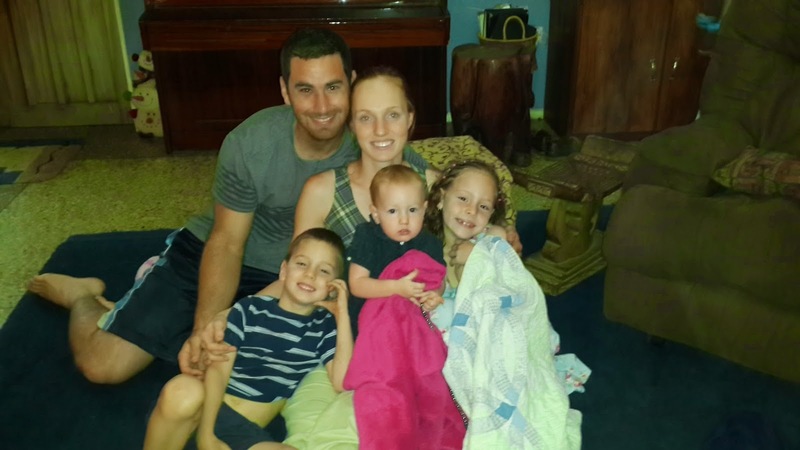 My husband grew up in Africa, and so is in many ways more comfortable with African culture than American culture. Our kids have only really ever known African culture as well. Were/are there any family issues? 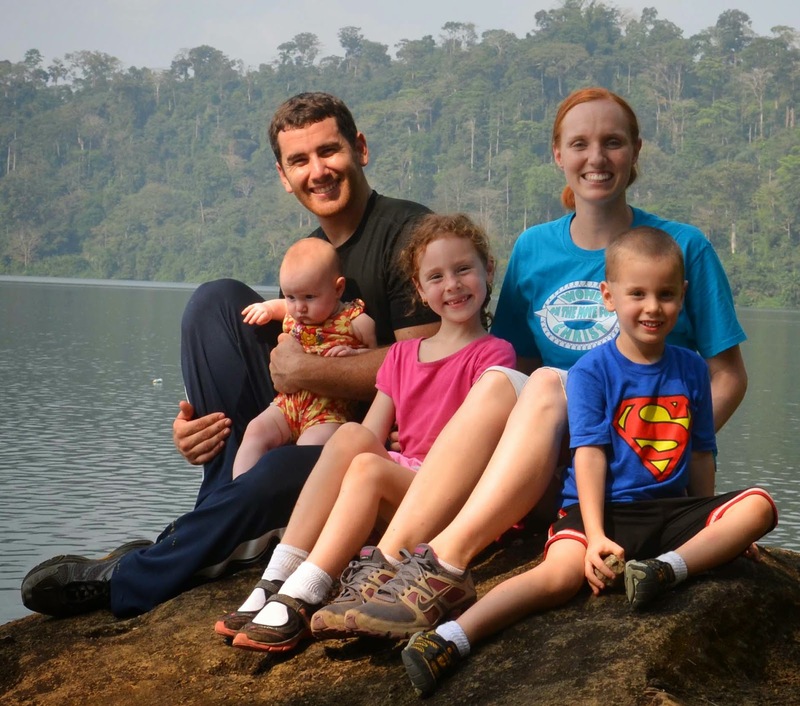 - We are blessed to have a wonderful family but one of the difficulties of working together as a husband and wife on the mission field is separating work time with family time. Because we don't see missions as our "work" but rather our LIFE it can be difficult to stop at the end of the day. Are or have there been any obstacles in your work? - Fighting sicknesses (malaria, typhoid, infections, etc) is a constant battle, dealing with a developing nation's government is another and constantly being asked for physical help can be frustrating. What or are there any keys to success for your work? - Keeping focused on what is important- the Word of God, consciously making an effort to raise Spiritually minded children and have a good family atmosphere, meditating on and reading our Bibles and pray everyday, sing to the Lord are personal habits that help. As far as mission methodology, we feel that patience is a key character trait because rushing things or desiring to see results right away can lead to long term problems. Helping others without creating dependency. We always seek to put quality over quantity, and would rather have a deep impact that will last than a broad impact that will fade quickly. Also, flexibility is key- you may enter a mission field with a plan or a program of how you are going to do things but you do need to be flexible when you come face to face with reality, and willing to reexamine your approach and let the Holy Spirit lead. How did and do you handle readjusting when you return home? - This is a trick question because it is difficult to say where "home" is but ultimately our citizenship is in heaven. My husband also says "Home is where the heart is" and we have made Cameroon our home. That being said, we also have "homes" in America, and in Ghana where we spent so much of our lives. When we go back to America we are often surprised that drivers abide by the traffic laws, amazed about the many options on different products (there is a whole aisle just for cereal in grocery stores! ), and struggle to keep our kids well behaved despite lack of routine and consistency. We are also really busy whenever we are in the United States, visiting and sharing and encouraging/being encouraged that we don't really think much about readjusting. I hope I was able to answer her questions thoroughly but if any of you readers have any further questions please let me know, I'd be happy to answer them!